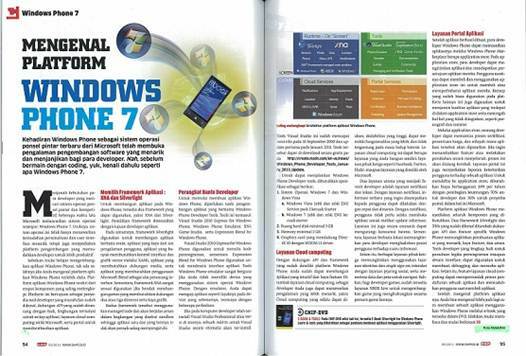 Indonesia Device Application Development MVP Puja Pramudya wrote and published an article titled ‘Mengenal Platform Windows Phone 7’ in the May edition of CHIP Magazine. He hopes that the Indonesia community and readers will find this article useful in their daily usage. CHIP Magazine is one of the largest computer & IT related magazine in Indonesia.